On the holiday of Yom Ha’Atzmaut three Israeli organizations: Standing Together, the International Young Israel Movement-Israel Region and the National Council of Young Israel put together a program called “Operation BBQ” whereby they pulled together over 750 volunteers to visit 18 army bases throughout the country. The purpose was to insure that soldiers remaining on active duty during Israel’s Independence Day don’t miss out on the traditional barbecue. But more than that, it was a way to express appreciation and gratitude to the soldiers for what they are doing for national security. Over 6,000 hot dogs, 3,000 burgers, salads, pitas, drinks, home-made goodies and other refreshments were served to the soldiers. The outpouring of food and affection was a complete surprise to the soldiers as car after car rolled into the military compound. These gestures of love and goodwill capture the essence of our NATION……Ahava (Love), Chesed (Kindness) and Achdut (unity). What a privilege to be aware of these holy acts taking place in our Beloved Homeland. It builds up the PRIDE OF OUR NATION AND MANIFESTS G-DS NAME IN THE WORLD DRAWING DOWN BLESSINGS FROM ABOVE. Way to Go Am Yisrael! Am Yisrael Chai!!! According to an article in the Jerusalem Post by Laura Rosbrow, The Technion, Israel’s Institute of Technology, ranked sixth in the world, in a Massachusetts Institute of Technology survey that evaluated innovation and entrepreneurship in higher education institutions. The Technion scored higher than Harvard, the University of Pennsylvania and University of Michigan, all which have top ranked business programs. The Technion, founded in 1912 long before Israel’s independence, greatly contributed to Israel being a “start-up nation.” In the early days of its start, its graduates were helping to build the state. They developed much of the industry, including roads, highways and desalination plants. In the article, Professor Miriam Erez, associate dean of the MBA programs, explains that the school is a by-product of Israeli culture due to its entrepreneurial and innovative spirit. 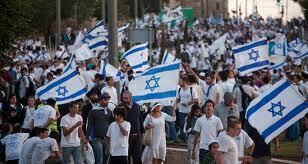 This spirit is fostered by the collective Israeli experience such as army and university. She cites additional conclusions relating to strong communication skills and the fact that Israeli’s feel free to express their own ideas and even feel comfortable criticizing their own bosses. These kinds of people can be challenging but ultimately are exactly what is needed to engender the innovative and entrepreneurship spirit necessary for success. Additionally, touting the success of Technion graduates related to the NASDAQ stock exchange: two-thirds of the 72 Israeli companies listed on the exchange either were founded by or are led by Technion graduates. Graduates of the Institute lead nine out of the country’s ten exporting companies. Technion graduates largely drive the annual output of the country’s electronic and software industry, which is approximately $20 billion-half of the country’s total annual exports. In 2004, the Technion started an entrepreneurial center with only one course. This coming fall, there will be 17 courses and the students will be able to pursue a minor in entrepreneurship. Technion also offers an International MBA in English with a similar focus on start-ups. Alongside courses, they offer assistance to early-stage entrepreneurs in developing business ideas. The Technion is a main supplier of engineers and innovation in Israel. It is no coincidence that Google, Yahoo, Apple, IBM and Intel have offices in Haifa where the Technion is located. Their intent is to recruit graduates. Technion graduates’ technological accomplishments, to name a few, are: development of Intel’s 8087 microprocessor, simulation software for unmanned drone aircraft, text messaging, drip irrigation, the disk on keys, and the Arrow defense system. In the last eight years, three Technion faculty members have won Nobel Prizes. We are Blessed to have such an incredible Institute of Higher Learning in our small but powerful country. We should take great Pride in all their successes and accomplishments as it benefits our nation and the world. 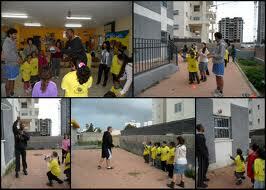 There is a program named HOOPS FOR KIDS, which is sponsored by the Netanya Foundation. HOOPS FOR KIDS brings professional basketball players to volunteer with at-risk kids from low income families around Netanya. They sponsor after-schools programs, sports clinics and camps. This mentorship program helps over 300 kids in grades 1 to 6. The director, David Lasky, who moved to Israel from St. Louis, Missouri five years ago, says the program provides stability for the children and builds their self-confidence. It helps them be a part of something bigger than themselves. The professionals, working with other volunteers, help the children learn how to be a part of a team, which helps them see a brighter future. One of the main features of Hoops is that it provides positive male role models for children. HOOPS FOR KIDS also partners with other non-profit organizations within Israel to provide low-income families with additional opportunities. As each individual utilizes their own personal gifts to benefit the Klal, in our divinely ordained homeland, they bring great light and blessing into the world. We return to becoming the Proud Lion of Judah! We bring honor to HaShem’s name and our pride is uplifted. 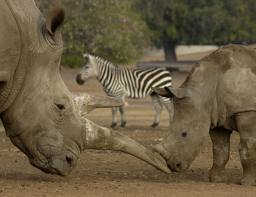 Ereta Yisrael has the largest African animal collection in the Middle East and they roam 250 acres. The African Safari area is unique in that there are large mixed species roaming the Park. Additionally, there is a modern zoo in the center of the zoological park. In total, there are 1600 animals of different species: 68 species of mammals, 130 species of fowl and 25 species of reptile. The set up is fabulous. You drive through an entry gate and meander through a vast, barren expanse of land and, right before your eyes are beautiful zebra herds with white rhinos nearby and pink flamingos in the pond and farther along the way lions resting under a tree. 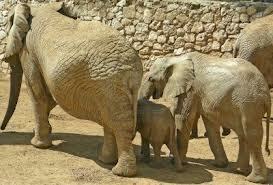 It is a wondrous experience and a big adventure to see the animals up close and personal. We saw a large herd of hippos partly submerged in water. An ostrich came up to the car window to greet us……that’s why the rules of the park are to keep windows closed. We saw several varieties of antelope and deer along the way and we saw beautiful giraffe grazing. At one point a couple of very large rhinos were heading our way and I told my husband to step on it…not the rhino…..the gas. The rhino was getting too close for my comfort. Of course he wanted to wait and see how close it would get, so I stepped on it…the gas that is. The zoo itself is lovely and nicely laid out. You can rent electric carts to get around……a great feature! There is a zoo minibus and a train. There is also a restaurant and picnic area. You can even get a personal tour or go on safari in the early morning or late at night. How cool is that? The Park is located in Ramat Gan near Tel Aviv. 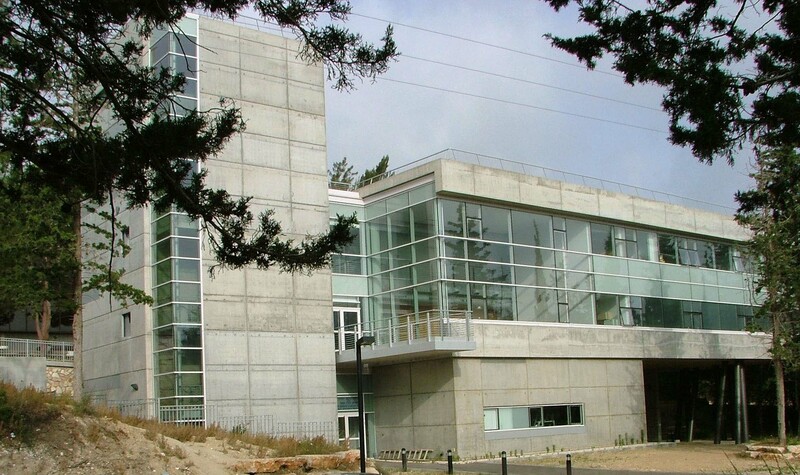 The Zoological Center is open throughout the year except for Yom Kippur and National holidays. For more information, go to www.safari.co.il or call 03-630-5305. It is a delightful way to spend the day with family and friends and delight in G-d’s many amazing creations. It is also one of the many and varied activities available in Eretz HaKodesh for us to enjoy. Thanks HaShem! On the holiday of Yom Ha’Atzmaut three Israeli organizations: Standing Together, the International Young Israel Movement-Israel Region and the National Council of Young Israel put together a program called “Operation BBQ” which pulled together over 750 volunteers to visit 18 army bases throughout the country. Their purpose was to insure that soldiers remaining on active duty during Israel’s Independence Day didn’t miss out on the traditional barbecue. But more than that, it was a way to express appreciation and gratitude to the soldiers for what they are doing for national security. Over 6,000 hot dogs, 3,000 burgers, salads, pitas, drinks, home-made goodies and other refreshments were served to the soldiers. The outpouring of food and affection was a complete surprise to the soldiers as car after car rolled into the military compound. These gestures of love and goodwill capture the essence of our NATION……Ahava (Love), Chesed (Kindness) and Achdut (unity). What a privilege to be aware of these holy acts taking place in our Beloved Homeland. It builds up the PRIDE OF OUR NATION AND MANIFESTS G-D’S NAME IN THE WORLD DRAWING DOWN BLESSINGS FROM ABOVE. Way to Go Am Yisrael! Am Yisrael Chai!!! In a J-Post article by Tamara Zieve, she notes that training has begun for the 14th annual WHEELS OF LOVE charity bike race. Hundreds of bikers from around the country and the world are expected to participate in this year’s ride to raise money for the Alyn Orthopedic Hospital and Rehabilitation center which specializes in pediatric and adolescent rehabilitation. The five day event will take place Sunday morning, October 27th, in Jerusalem and will end late Thursday, October 31st. 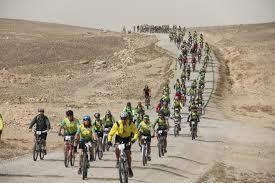 The cyclists will travel through Binyamina, Zichron Ya’akov, the Lower Galilee, Lake Kinneret, the Beit She’an Valley and Latrun. They will end their race in Jerusalem where they will meet children from Alyn. Hundreds of businessmen, celebrities and CEO’S of leading companies are expected to participate in the final days’ events. Teens and adults who have completed their rehabilitation process at the hospital will also take part in the festivities. Just another way the Nation of Israel takes care of its own! AM YISRAEL CHAI! FEEL THE PRIDE…….HOW SWEET IT IS! In a J-Post article by Allon Sinai, he writes that the 19th Maccabiah International Athletic Games, which will take place from July 18th through July 30th, will host almost 9.000 athletes from over 70 countries. According to Wikipedia, the games were originally conceived by a 15 year old Israeli named, Yosef Yekutieil who had been inspired by the Stockholm Olympic games. It took 14 years of development by Yekutieli and the Jewish National Fund, before the games were started in 1932. The games were originally named Maccabiyon and 1932 was selected as the year to mark the 1800th anniversary of the Bar Kochba revolt. The exact date was March 28, 1932 and about 400 athletes took part in athletics, football and swimming. Wikipedia notes that the initial donations were collected by bike riding representatives who traveled by motorcycle on two separate routes promoting the games to different communities. The first route was from Palestine to Syria, Turkey, Poland, Germany, France and Belgium. The second went from Tel Aviv through the Sinai desert to Cairo and Alexandria and then proceeded by ship onto Salonika, Greece, Bulgaria, Yugoslavia and many other countries in that area and finally by ferry to England and Scotland. They returned home via Beirut, Lebanon. According to the official Maccabiah web site, the games were opened by Tel Aviv Mayor, Meir Dizengoff, who rode through the streets of Tel Aviv on a white horse. The opening ceremony witnessed the release of 120 carrier pigeons, 12 for each one of the twelve tribes. Four hundred athletes from 18 countries participated including over 60 athletes from Arab countries. During the second Maccabiah games, there were 28 countries represented by 1,350 athletes. The games became known as the “Aliyah Olympics” because 134 Jews from Germany flouted Nazi Germany’s order not to attend. They refused to fly the German flag during the opening ceremonies and many of the athletes from Germany and other countries chose to remain in Israel and settle in the Land. Due to political events and unrest in Europe and the world including Palestine, the games were cancelled. Maccabiah is open to all Israeli athletes, including Israeli-Arabs. The games are always held in Israel and actually are three separate competitions: “Open,” Juniors,” and Masters.” Israel’s delegation this year will be the largest ever and America too will be bringing the largest delegation with 105 teams participating in 33 different sports in varied age groups. Additionally, 400 to 500 enthusiasts for the teams will be coming. The games occur every four years and the project and funding is enormous. The Maccabiah games are immensely important to the Jewish world and generate great pride to the athletes and to the Jewish nation. Part of the program is a one week long trip around Israel to connect the athletes to their Jewish heritage. As one can perceive through the choice of the timing of the original event and how it related to the ancient, biblical Bar Kochba Revolt and the twelve pigeons released to represent the twelve tribe, all aspects of life in Eretz HaKodesh are touched by spirituality and nationhood uniting the mundane with the sacred. Praise G-d, we are a nation with a Holy Torah and a Holy Land and we are home at long last to build up all aspects of our nationhood. The beginnings of this holy endeavor were miraculous and it still feels miraculous to me, as we watch our country emerge and succeed in so many areas of life, that were previously closed. Blessings of success to all the athletes and special thanks to the hard working Maccabiah Federation and volunteers who make it happen and bring Pride to our nation in our Land! Did you know that Israel is a “technological superpower?” Watch this amazing video of Israel’s incredible gifts to the international community, and hear what Warren Buffet, Bill Gates, Meir Brand and others have to say about Israel’s awesome accomplishments.